James D Sinegal - Pittsburghs Beautiful People! 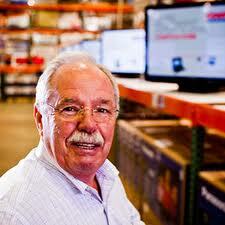 Born January 1, 1936, Singegal is co-founder and former Chief Executive Officer of the company Costco, which he co-founded in 1983. Before founding the international retail chain, in 1959 he attended San Diego State University where he obtained a Bachelor of Arts. Sinegal acted as director of Costco from the company’s beginning until 2010, and this Pittsburgher native was known for his open-door managerial policy (which includes answering his own phone) and voluntarily taking a low salary, plus for his insistence that ample employee salaries, plus generous health care, was good for business; moves which have made him controversial amongst some business analysts and investors, who thought the salary structure at Costco was too generous. However his style led him to be named one of BusinessWeek ‘s “Best Managers” in 2003, and a staff theft rate 10 to 15 less than other retailers. His personal business ethics and commitment to his team, and bettering his employee’s lives, are legendary. From 2003 through 2007, Sinegal he made $350,000 and declined his bonus. He openly admitted that he was also rewarded by his stock, and at the time this Pittsburgher entrepreneur did hold about $16.5 million worth of Costco stock options. Married to Janet with three children, as at 2012, Sinegal was estimated to have net worth of $3.1 Billion. Singeal is a Democrat who regularly contributes to Democrat campaigns and also He participates in community charity work, serving as Trustee of Fred Hutchinson Cancer Research Center and Trustee of Seattle University. Aptly described as an “ethical capitalist”, Sinegal is a progressive employer and businessman whose entrepreneurial achievements in building up a great American brand are truly remarkable. This Pittsburgher’s joy and determination in giving back to his employees are inspirational, as is philanthropy and charity work in the community.